Stephanie is an interdisciplinary artist and writer from Racine, Wisconsin. She currently lives, works, and creates in Boston, Massachusetts. Publication: "Eskimo Pie" was published in the Santa Ana River Review, February 2019. Publication: "Diese Nacht" was published by formercactus, December 2018. Publication: "wake" was published at Typishly Literary Journal, October 2018. 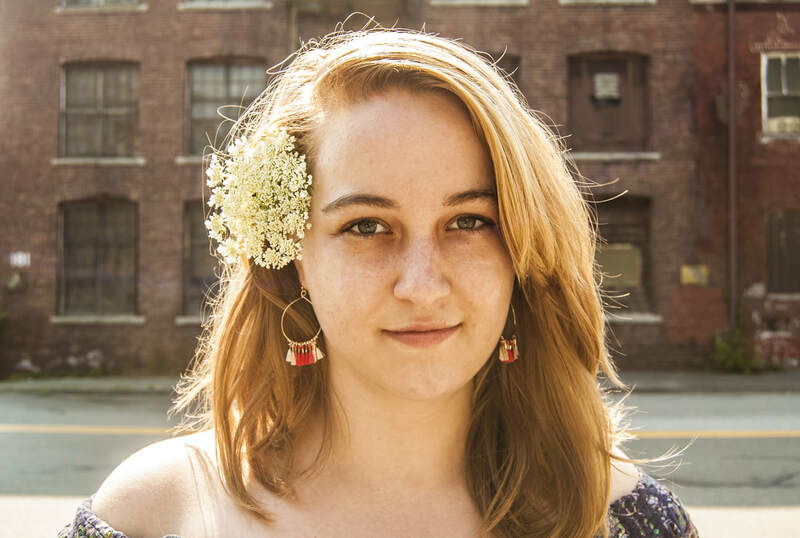 Sewanee Writer's Conference: Stephanie is a 2018 Tennessee Williams Scholar in Playwriting. ​Production: Chop was presented at the Dorchester Arts Project in July. Production: ShotzBoston presented four of Stephanie's 3-minute plays in June. Design: The Lyons at Titanic Theatre Company, April 2018. Publication: "Sarita" was an Editor's Choice at Typishly Literary Journal, March 2018. Design: The Drowsy Chaperone at Westwood Stage, March 2018. Conference: Stephanie presented on the ethics of imaginary worlds at NeMLA this April. Publication: Esyld's Awakening from CWC Publishing, Jan 2018. Production: She Eats Apples at Queensboro Community College Dec 2017. Reading: Cellardoor Collective workshopped Stephanie's new play Brigids (or Biddies)​ with Director Adrienne Boris, Dec 2017. Production: Chop will be presented at the Boston Center for the Arts as a part of the "She Said" Festival in March 2019. Design: Freaky Friday the Musical at Westwood Stage this spring.